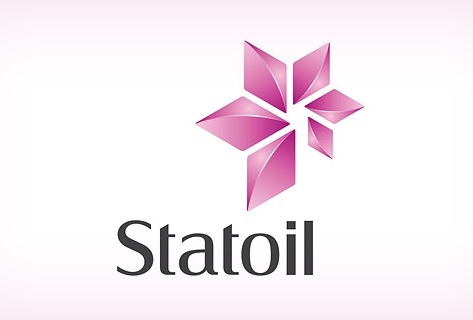 Norway's Statoil has announced that it signed an agreement to divest a 10% share of its 25.5% holdings in the Shah Deniz and the South Caucasus Pipeline. The buyers are Azerbaijan's state energy company SOCAR (6.7%) and British BP (3.3%). Statoil will as part of this transaction receive a total cash consideration of $1.45 billion. It announced that effective date of the transaction is January 1, 2014. Statoil together with partners in the Shah Deniz consortium in Azerbaijan on December 17 made a final investment decision for the Stage 2 development of the Shah Deniz gas field, in the Caspian Sea, offshore Azerbaijan. This decision triggers plans to expand the South Caucasus Pipeline (SCPX) through Azerbaijan and Georgia, to construct the Trans Anatolian Gas Pipeline (TANAP) across Turkey and to construct the Trans Adriatic Pipeline (TAP) across Greece, Albania and into Italy. Together these projects will create a new Southern Gas Corridor to Europe. The total cost of the Shah Deniz Stage 2 and SCP Expansion projects will be around USD 28 billion. "The Shah Deniz Stage 2 project is a significant project which will make Azerbaijan's large gas resources available for the European market, it brings benefits for customers and creates value for the partners", President and CEO of Statoil Helge Lund said. "The divestment corresponds with our strategy of portfolio optimisation based on rigid prioritisation of future investment, and capturing value created from a significant gas position", Lund continues. Statoil will not participate as an investor in TANAP. "We have considered our potential positions throughout the project's value chain, balancing economics and risks to identify the optimal participation," he said. Statoil holds a 20% share in TAP AG, the owner of TAP, who develops the pipeline for transport of gas from Turkey to Southern Europe. The current Statoil equity production (gas and condensate) from Shah Deniz as per third quarter 2013 is 56 000 barrels of oil equivalents per day. Statoil entered Azerbaijan in 1992 and is a partner with a 8.56% share in the oil producing Azeri-Chiraq-Guneshli (ACG) field, the Shah Deniz gas field with a 15.5% share, and the corresponding pipelines Baku-Tbilisi-Ceyhan (BTC) and South Caucasus Pipeline (SCP).